ibidi has developed several products for long-term cell cultivation of up to several weeks. 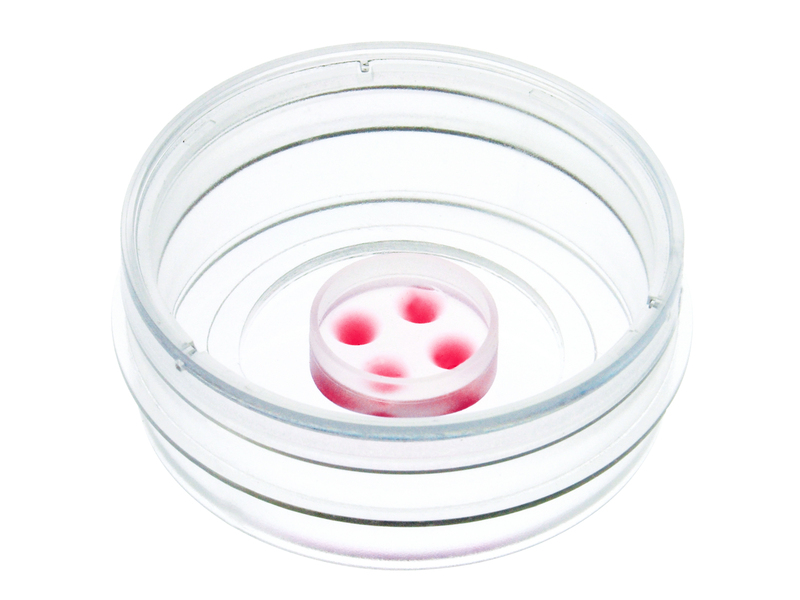 Constant cell culture conditions are very important for stem cell differentiation studies. 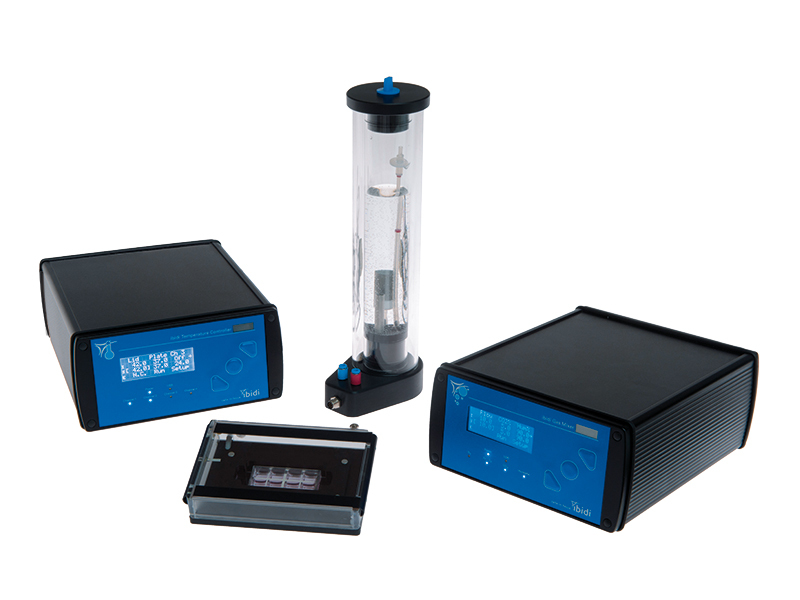 Working with the micro-Insert 4 Well and the micro-Insert 4 Well FulTrac facilitates the handling of just a few initial cells. 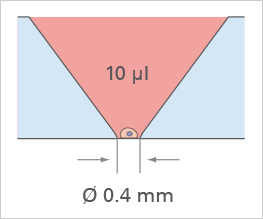 Using a volume of only 10 µl, the cells can be followed with the microscope for an extended period of time. 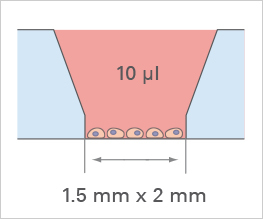 In combination with our Heating & Incubation System, cell fate determination is possible directly on your microscope. With ibidi‘s specially designed walls in both, the micro-Insert 4 Well and the micro-Insert 4 Well FulTrac, stem cells can be successfully followed during their differentiation, because the cells cannot “hide” near sharp edges like the wall. 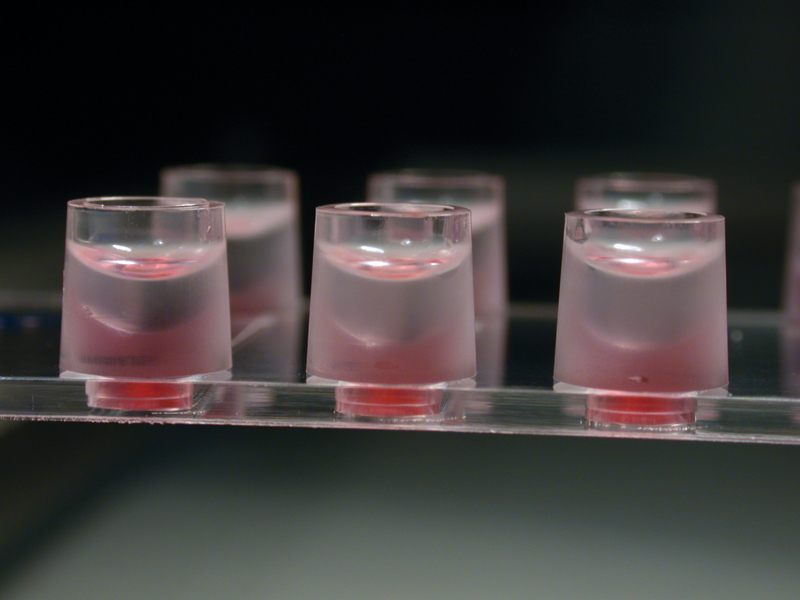 The system is long-term stable for days or weeks of stem cell cultivation. 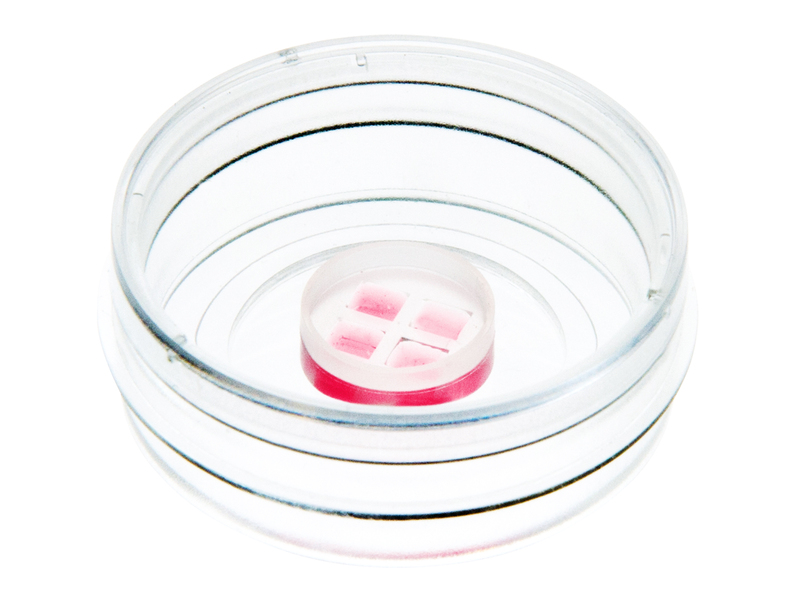 Depending on the special application, stem cells can also be embedded in a gel matrix to support liquid handling and medium exchange. 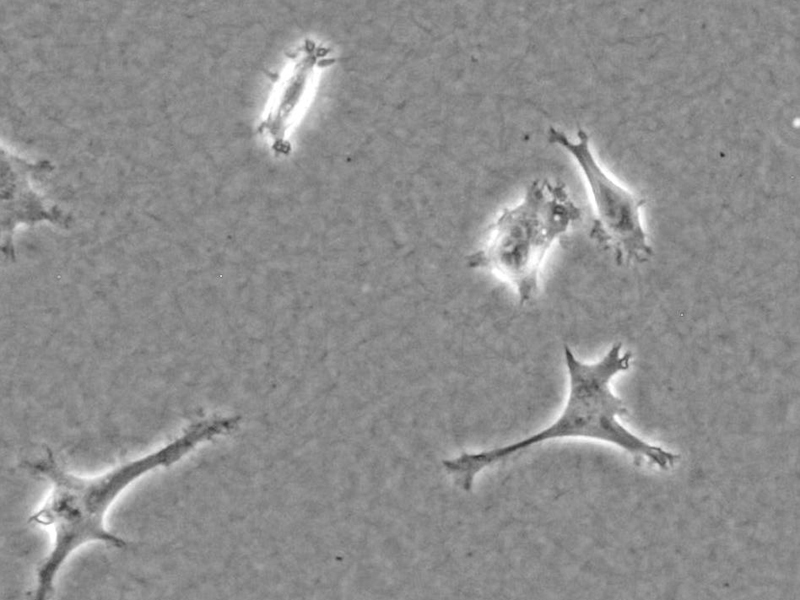 We provide several gelation protocols for our Collagen Type I in Application Note 26 (PDF). 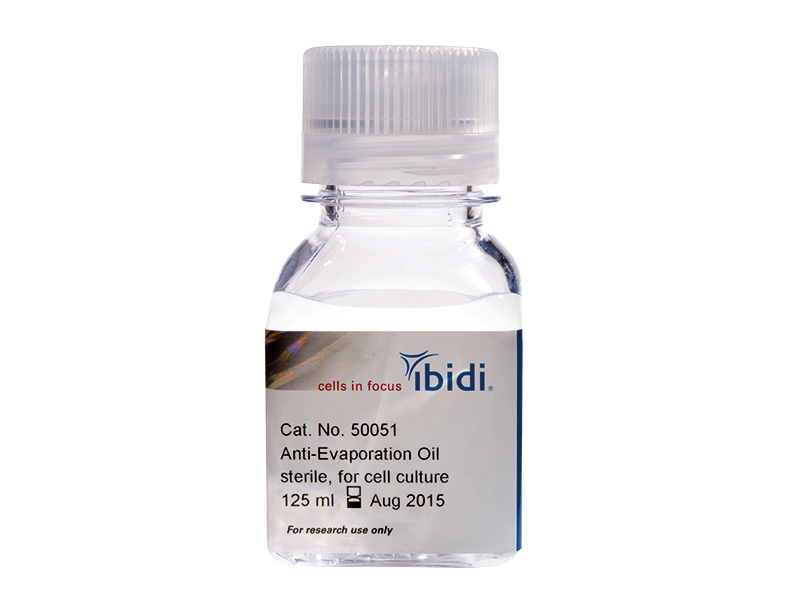 To further decrease evaporation effects in small volumes, ibidi has developed an Anti-Evaporation Oil for cell culture. This oil can be overlaid on the growth medium, protecting it from evaporation that will change pH and salt concentrations over time.